GWAII HAANAS, B.C. 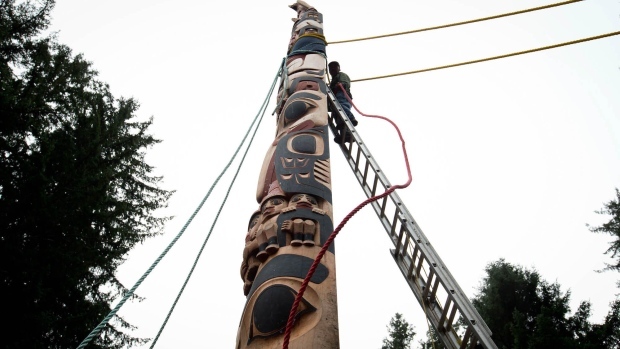 -- A 13-metre totem pole has been erected on B.C. 's Haida Gwaii islands, becoming the first totem pole to be raised in the area in more than a century. Hundreds gathered in the Gwaii Haanas National Park Reserve, a remote area in the southern region of Haida Gwaii, to watch the nearly 3,000 kilogram pole raised using six ropes and sheer manpower. 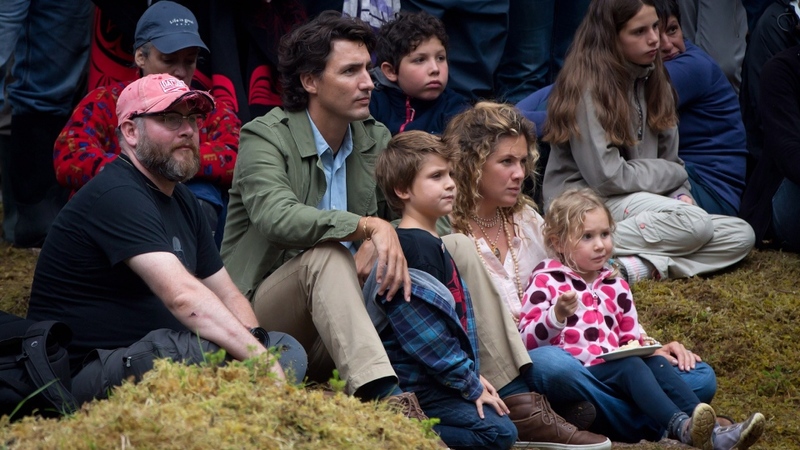 The pole was carved to celebrate the 20th anniversary of an agreement between the Haida Nation and the government of Canada that allows both to co-manage and protect the region. The totem pole, which represents the modern and ancient history of Gwaii Haanas, was raised on Lyell Island, where the Haida Nation led a political standoff in 1985 to protest logging in the area. The Gwaii Haanas region was subsequently designated a heritage site and a national park reserve. The President of the Council of Haida Nation, Peter Lantin, says the pole was the perfect way to tell the story of the resolution of that conflict. The agreement is represented by a sculpin fish at the bottom of the pole and an eagle at the top, symbolizing an area that is protected from ocean floor to mountain top.